Mother Teresa. Level 1 Reader, National Geographic Kids, 2019. Mother Teresa was 12 years old when she heard about nuns who helped the poor. From that point on, her path was clear. She became a nun and devoted the rest of her life to helping others. This biography covers Mother Teresa’s journey from her childhood in what is now known as Macedonia to becoming the founder of a new order of nuns called the Missionaries of Charity. Today more than 5,000 nuns in the Missionaries of Charity order continue doing the work Mother Teresa started. Walt Disney. Level 3 Reader, National Geographic Kids, 2017. Walt Disney was a dreamer from the start and his dreams kept getting bigger. Some said his ideas were impossible, but that did not stop Disney from trying. Through imagination and hard work, he reached his dreams and made our world a happier place. This biography highlights Disney’s achievements and the many obstacles he overcame along the way. Lin-Manuel Miranda: Award-Winning Musical Writer (Newsmakers Series) ABDO Publishing, 2017. Lin-Manuel Miranda is best known as the creator of Hamilton, the hip-hop musical that continues to play to sold-out crowds. This biography covers Miranda’s life and achievements, from the young boy who dreamed of performing onstage to the adult who has enjoyed tremendous success as a writer and performer. Frederick Douglass. Level 2 Reader, National Geographic Kids, 2017. Frederick Douglass was born a slave. After 20 years, he escaped and began speaking out against slavery. He became one of America’s most celebrated abolitionists, writers, and orators. This biography covers his early years as a slave, his achievements, and the obstacles he overcame as he worked to end slavery. Sonia Sotomayor, Level 3 Reader, National Geographic Kids, 2016. In August 2009, Sonia Sotomayor was sworn in as a Supreme Court justice. She was the third woman and the first Hispanic justice to serve on that court. Sotomayor had dreamed of being a judge since she was ten years old, but becoming a Supreme Court justice was not an easy path. This biography highlights the obstacles Sotomayor faced and overcame on her road to the highest court in the country. 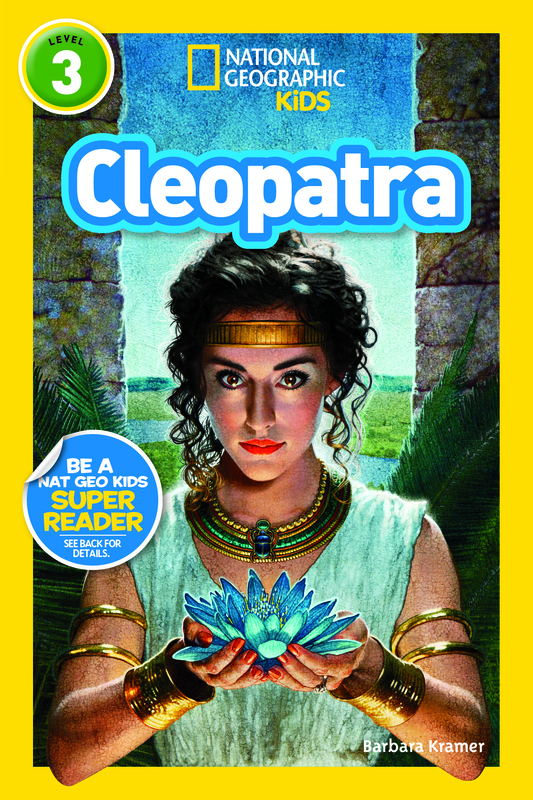 Cleopatra, Level 3 Reader, National Geographic Kids, 2015. Cleopatra was queen of Egypt more than 2,000 years ago. Today, she is still one of history’s most famous queens. Yet much of her life is a mystery. This biography explores her life, achievements, legacy, and why she continues to fascinate generations of readers. 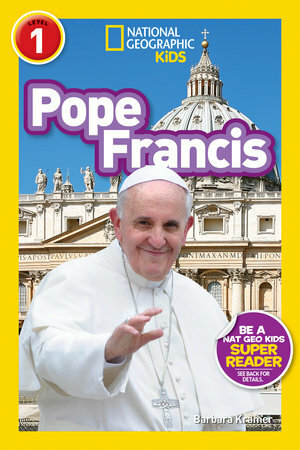 Pope Francis, Level 1 Reader, National Geographic Kids, 2015. Pope Francis is the first Pope from the Americas. He’s also the first Pope to replace a living one! This book explores his rise from a young boy in Buenos Aires, Argentina to becoming the leader of the Roman Catholic Church. Alexander Graham Bell, Level 2 Reader, National Geographic Kids, 2015. 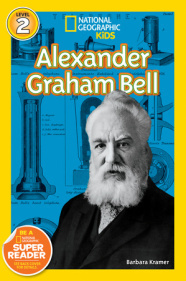 Alexander Graham Bell is best known as the inventor of the telephone, but he enjoyed many other achievements as well. He spent many years teaching deaf children and was one of the founders of the National Geographic Society. This book highlights his many achievements. Nelson Mandela, Level 3 Reader, National Geographic Kids, 2014. Nelson Mandela, who courageously dealt with adversity and emerged a world leader, has been an inspirational role model for millions of people around the world, from students to presidents. After being imprisoned for 27 years, in 1994 he became South Africa’s first democratically-elected president and shared the Nobel Peace Prize. Mandela died in 2013, but his legacy lives on as a barrier-breaker and humanitarian. This biography shows the challenges Mandela faced and how he persevered. 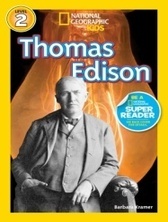 Thomas Edison, Level 2 Reader, National Geographic Kids, 2014. Thomas Edison is best known as the inventor of the electric light bulb, but that was only one of his many inventions. He began experimenting when he was a boy. More than 70 years later, he was still inventing. During that time, he got 1,093 patents. This biography covers his childhood and his life as an inventor. George Washington Carver: Scientist and Inventor, Enslow Publishers Inc., 2015 (new edition). George Washington Carver spent his life asking questions and looking for the answers. As a teacher at the famed Tuskegee Institute, Carver gained a reputation as the farmers’ best friend. He taught them about crop rotation: growing peanuts and planting sweet potatoes to “rest” their soil between cotton crops. And what could they do with all those peanuts? Carver developed more than three hundred peanut-based products – from milk to printers’ ink – and more than one hundred ways to use sweet potatoes. Anecdotes and quotes help bring “The Peanut Man” to life. Beyoncé: Singer, Songwriter, & Actress, ABDO Publishing Company, 2013. Readers will learn about Beyoncé’s childhood, family, and rise to fame. The book explores her movie career and her early interest in music that led to her membership in the group Destiny’s Child and eventually the release of her solo albums. Toni Morrison: A Biography of a Nobel Prize-Winning Writer, Enslow Publishers, Inc., 2013 (new edition). Reading and storytelling were an important part of Toni Morrison’s childhood, but she did not begin writing until she was an adult. With the publication of her first novel, Morrison knew that writing was something she would never give up. “I wasn’t able to stop,” she said. As a working mother, Morrison learned to successfully juggle her writing career and other jobs with raising her two sons. The author of such notable works as Beloved, Song of Solomon, Sula, and Jazz, Morrison expresses the beauty of African-American history, cultural beliefs, and folklore in her writing.